The Ridgefield Art Association, Dance Fusion NW, and community members have planned a fun evening for us all. Come visit a Halloween haunted house in Abrams Park and bring the kiddies. Costumes welcome, of course! Fun for the whole family. 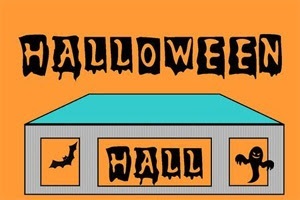 Check out the Haunted Dining Room, Graveyard, Dragon/Monster Ward, Frankenstein’s Laboratory, Pirates of Ridgefield, Hansel and Gretel and the Spider’s Lair. Also, special dance performances at the bottom of every hour and free hay bale maze for small children. Hot chocolate and cider will be available for purchase.